FACTOR 10 has a top of the line FDM printer that allows for strong durable prints. 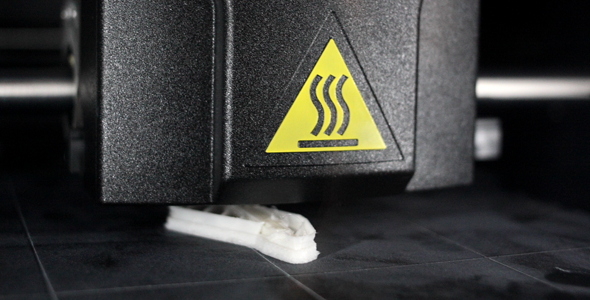 We can print ABS plastic that is sandable and paintable. At FACTOR 10 we offer a 3D printing service that allows you to bring your computer 3D modeled files to life. Our advanced FMD printer lays out a path of ABS plastic and stacks the paths to match your file. In the end you have a durable and high resolution print.